Westwood Commons offers more than assisted living services, we offer a lifestyle for your future. We strive to enhance each resident’s quality of life by providing interactive social activities, a supportive and caring staff and personal care services that promote independence and dignity. Westwood Commons offers a personalized approach to delivering support and services while encouraging family members to be actively involved in the care of their loved ones. Westwood Commons is licensed by the New York State Department of Health. 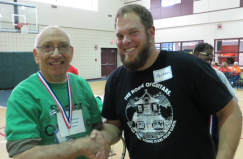 Residents of Westwood Commons, a DePaul Senior Living Community in North Chili, competed in the 11th Annual DePaul Senior Olympics on Friday, October 19 at DePaul’s Recreation Center located at 1931 Buffalo Road in Rochester. 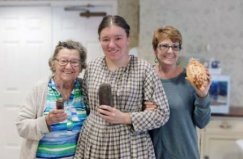 Westwood Commons, a DePaul Senior Living Community in North Chili, recognized National Assisted Living Week (NALW) September 9-15 with a fun-filled week of activities aimed at helping residents live life to its fullest! Caroline Garnaat is making art approachable to all ages and abilities. 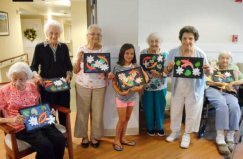 An artist for 40 years and teacher with the nonprofit organization Fine Art Miracles, Inc. Caroline helps residents at Westwood Commons, a DePaul Senior Living Community in North Chili, channel their inner Picasso once a month. Discover the value at Westwood Commons! Like Westwood Commons on Facebook!